On the heels of a newly acquired JAGERMEISTER Band Sponsorship, Atlanta Hip-Hop Party Rockers, EDUBB, has announced their first European Tour. The indie trio mostly known for their risqué brand of “party music”, has gained more than 8 million total YouTube views for their Official VEVO Video and Viral media craze, “WHOOTY” aka “White Girl With a Booty”. The WHOOTY movement has since spanned internationally, becoming the Top 5 Most Viewed Video on MTV Germany. Their Underground Club Hit “RAIN BOOTS”, started gaining popularity in their hometown of Atlanta, and has since spread throughout clubs in the east and west coasts, and recently Vancouver, Canada. Their most recently released video for “JAGER BOMB” which is short for EDUBB’s beverage of choice, eventually led to an Official Band Sponsorship from JAGERMEISTER. As a “breakthrough” independent act, EDUBB continues to carve out their niche base and budding “cult-like” following, evident through their ever-growing show schedule, and digital sales. Within two years of releasing WHOOTY, EDUBB has sold over 60,000 units with no major promotion, due to a relentless viral campaign that has literally embedded the term “WHOOTY” in pop culture. With more than 4.5 Million video streams on VEVO, EDUBB saw their WHOOTY Gear Merchandise sold via WHOOTYSHOP website, increase in 50% sales. EDUBB will embark on their first international tour, at the end of March and throughout the month of April. EDUBB will also be on “Hot Spot” Party tour supported by JAGERMEISTER throughout Spring break, the National NACA Convention and the SXSW Conference in March. EDUBB is set to release two new music projects this spring, which they intend to further spread their brand of music and welcome in new fans. They are releasing their “Party Life” inspired REDCUPLYFE EP & DVD on ITUNES in April. This project features the Ying Yang Twins, and production from hit-maker producer John Boy “On Da Track” whose credits include: WOBBLE by VIC, SHAKE by PITBULL, CLUMSY REMIX by FERGIE. 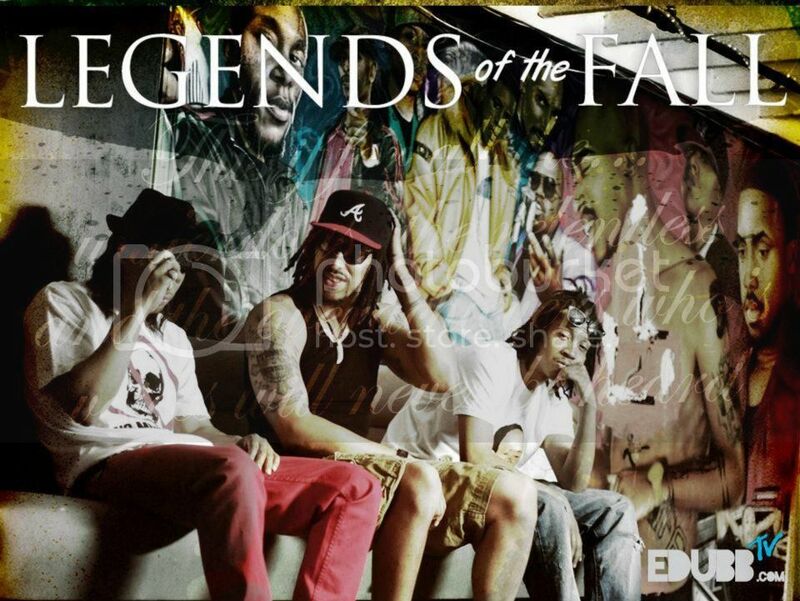 EDUBB will unveil their concept-driven, full length effort LEGENDS OF THE FALL in March. This project captures a different, more eclectic side of EDUBB’s artistry, often foreshadowed by their love of Party Music. LEGENDS OF THE FALL will feature Universal Republic’s Jackie Chain, T-Mo Goodie from the Legendary GOODIE MOB, among others.